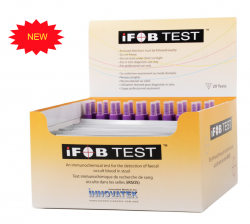 iFOB Test | Innovatek Medical Inc. Early detection of colorectal cancer is the key to successful treatment. Includes test cassettes, collection device, and collection paper.